Wireless Body Area Sensor Network (WBASN) is a developing application of Wireless Sensor Network (WSN) which is very useful in diagnosis of human health remotely. Tiny and smart sensors are placed inside or outside of human body which collects useful data time to time from various parts of body and send it to the corresponding medical staff or doctor. In the future, WBASN will surely make a huge change in traditional health monitoring system and will be helpful for elderly people and patients who suffer from difficult physical mobility. WBASN have many challenges while its design and one of main challenge is controlling temperature rise of sensor node during routing when placed inside human body because temperature rise beyond certain limit will be harmful for human body. The study of controlling temperature rise of sensor nodes during data routing comes under the category of Temperature Aware Routing Protocols. In this article the authors have raised a problem called “Energy Hole Problem” under Temperature Aware Routing Protocols which affects the performance of a network. In the current competitive and busy life schedule, self-care is normally neglected by people not only due to lack of time but also because of rising cost of health care, which is a serious issue in health monitoring. This can be done via Wireless Body Area Sensor Networks (WBASN), which comes under the umbrella of wireless network and enable remote diagnosis of human health. WBASNs, which is a combination of sensor nodes set, when placed within or on a human body can remotely monitor human health (Cavallari et al., 2014; Chen et al., 2011). Using a WBASN, elderly people and patients who are restricted by physical mobility, no longer require going to hospital on a regular basis. 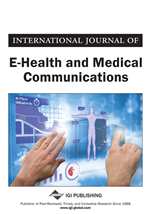 A lot many applications of such types of networks have emerged in recent years ranging from remote patient monitoring to ambient assisted living (Nadeem et al., 2015; Negraa et al., 2016). However, as communication suffers from the harmful effects of radiation and as the node circuitries and the antennas generate heat due to implanted sensors, using WBASN can have adverse effects on the human tissue (Hirata and Shiozawa, 2003; Havenith, 2001; Tang et al., 2005; Bag and Bassiouni, 2008). Thus, one of the primary goals while designing a routing mechanism for WBASN is to minify the heat generated by sensors during communication process. This goal can be achieved by considering temperature as one of the routing metric and such routing protocols are commonly known as temperature aware routing protocols (Oey and Moh, 2013). Extensive research has been done on Temperature Aware Routing over the past decades with very promising results (Oey and Moh, 2013). But, most of them did not consider the problem of “Energy Hole” which severely affects the network lifetime of WBASN. The network lifetime is defined as the period of time between the start of network to the time when the first node of the network expires (Waider and Biswas, 2009). This situation arises due to rapid increase in temperature of neighboring nodes of sink node. As all the data transmission towards the sink node is through its neighboring nodes, these nodes observe a rapid increase in temperature and have a tendency to become hotspot nodes. The situation in which all the neighboring nodes of a sink become hotspot node is called as “Energy Hole Problem”. Moreover, the energy of these nodes also gets depleted quickly. And in this condition no data can be transferred to sink node from any other node even when the average temperature and average energy of the overall network is normal. Neighboring sensor nodes of sink node carry heavier traffic load as compared to other sensor nodes present in the network.